Lime is the white, crusty layer that forms on surfaces where water has dissipated. As the water diminishes in a water cooler, lime buildup appears as rings around the tank. Minerals in the water, such as calcium, leave behind dense stains that are tough to remove with ordinary cleaners. Remove the lime buildup and bring back the clean appearance to the water tank. Remove lime buildup from a water cooler with white vinegar. 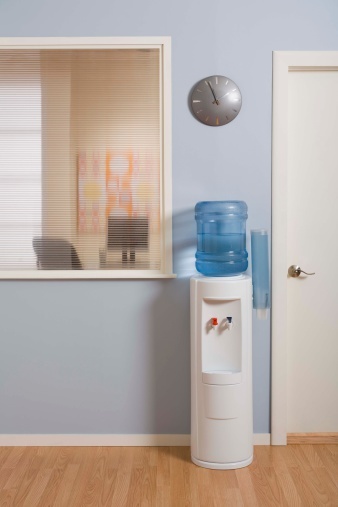 Unplug the water cooler unit from the wall. Drain the water from the cooler tank and remove it from the unit. Mix equal parts of white vinegar and water in a clean bucket. Wet a sponge with the vinegar solution and wipe the interior of the water cooler. Saturate the lime buildup with the vinegar and allow it to remain inside the cooler for 20 minutes. Rinse the cooler with cool water from a bucket. Slice a lemon in half and rub over any remaining lime stains in the cooler. Allow the lemon to loosen the lime for 15 minutes. Rinse the lemon from the cooler. Mix 1 tsp. 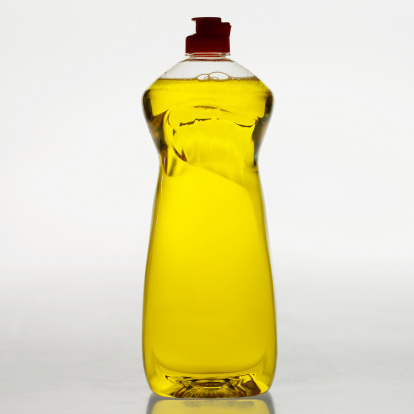 liquid dish soap with 1 gallon warm water. Wash the interior and exterior of the water cooler with the soap and sponge. Rinse the cooler with cool water and dry with a soft cloth.